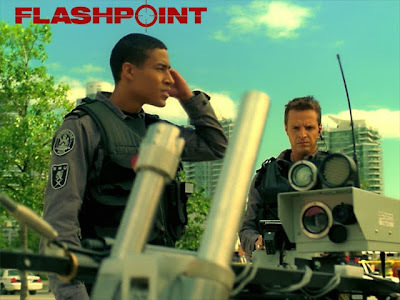 CBS will launch the third season of the Toronto-lensed action cop series "Flashpoint", Friday, June 4, at 9 PM. 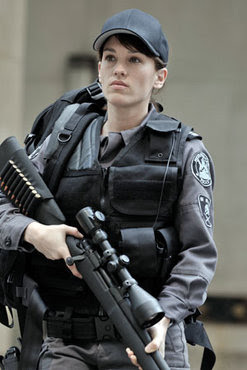 The show was created by Mark Ellis and Stephanie Morgenstern and stars Enrico Colantoni, Amy Jo Johnson, Hugh Dillon and David Paetkau. 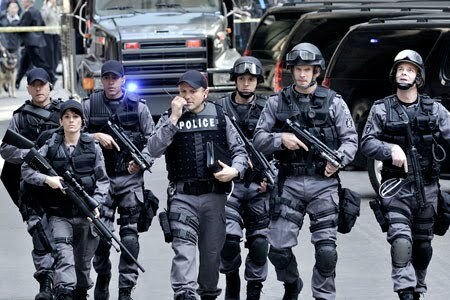 "...'Flashpoint' follows an elite tactical unit, called the 'Strategic Response Unit' (SRU), styled after the Toronto Police Emergency Task Force (ETF). The SRU are tasked to resolve extreme situations that regular officers are not trained to handle including hostage-taking, bomb threats and heavily armed criminals. Equipped with high-tech tools and a cache of weapons and explosives, members use negotiation tactics and intuition to try to avoid the use of force..."
"Flashpoint" is currently being distributed by New York's Alchemy Television and Tele München Group to all international markets outside of North America. TV networks airing the series in more than 50 countries include Tv2 in New Zealand, ITV3 in the UK and stations in France, Germany, Italy, Spain, Iceland, Sweden, Norway, the Netherlands and Latin America.